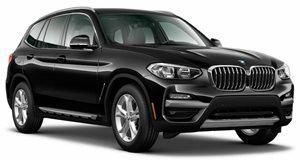 With the launch of the iX3 electric SUV, BMW is laying the groundwork to start exporting cars to North America from China, even while the US and China rage at one another over vehicle import tariffs. According to , the company’s first fully-electric SUV, the iX3, will begin production in 2020 at BMW’s joint-venture production plant in Northern China. The company previewed the model with the . Following Cadillac’s move to import the CT6 PHEV from China, BMW will become the second major luxury carmaker to ship electric vehicle to North America from China. Most of the high-tech gadgets consumers buy already come from China so there shouldn’t be a problem accepting cutting-edge cars shipped from the People’s Republic. Truthfully though, the choice of China is likely motivated by the higher expense needed to produce electric vehicles. It also makes the iX3 the second sport utility sold in North America that isn’t built at the company’s Spartanburg, South Carolina, SUV plant that’s responsible for the X3, X4, X5, and X6. The company says the iX3 will be able to travel 250 miles on a fully charged battery and it will enter the newly birthed premium electric-SUV segment, joining the Jaguar I-Pace, Audi’s e-tron, and the Mercedes-Benz EQ C crossover. The iX3 will be based on the existing X3 to save costs and is one of the 12 all-electric cars BMW is promising to debut by 2025. Unlike bigger rivals like Volkswagen, and General Motors, which can spread the research and development costs of emerging technology between it’s basket of brands, BMW really just has Mini to work with. The iX3 will arrive before the planned electric sedan BMW previewed with the iVision Dynamics Concept. The production version will and should share a powertrain with the iX3, much like the X3 and 3 series share powertrains and a platform.